This is high time to find the middle great between your private desires and the sacrifices you are ready to do in order of having the attention of other folks. As usually, Leo-identities will require much attention to their person and they will become blind and deaf to the wishes of other folks. They become overly proud and their egoism may reach the record point. You have a great thirst for recognition and acceptation from other folks. You will do whatever is needed to get the attraction of others, as you desire fame and popularity. What is good about Leo-identities is that they have a very nice taste and always reach out for perfections and beauty. This is an incredible mastery. It'sa high time to devote your time and strength to children whom you love so much. Do whatever is needed, visit any interesting and entertaining things just to bring them joy. Cultural visits will be good as well. Enhance your creativity and prepare different celebrations and parties, as you are utterly good at organizing them. This period is favorable for different physical activities. Put to use the power of your imagination and creativity. Pay attention to the arts. Try to get rid of the pride and give more heed to the wishes and needs of other identities and you'll be possibly rewarded for that in the way you desire. It's a good period for having a deserved rest, so don't overwork and overload your nerve system. Find time for relaxation. Be careful with the areas of heart and back. Don't undergo any operations or something of the kind, until this period runs to an end. 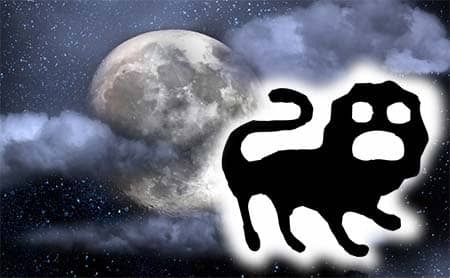 This sign within Moon is proud and open-handed, dedicated and has great thirst for entertainment and adventures. These folks will be very trustworthy in private relations.